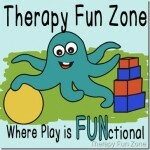 This page will search the therapy blogs to make it easier when we want to link to other therapy blogs. When linking to another blog, please use proper blog etiquette by only using one picture and a link and credit. Do not copy a whole post, or even part of a post. For reference on proper blog etiquette you can read Blog Etiquette and Correct Linking and Credit.